AMD has been innovative at its best and has been coming up with newer and unique concepts that have been introducing better functionality and performance. If you have been following AMD and its products launches, you may have heard of FreeSync 2. This has been bringing up newer display options to the fore. 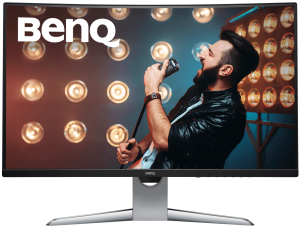 With that background, we thought of listing out the best FreeSync 2 Monitors enabled monitors currently available. FreeSync 2 is not a new concept as such. It was announced at the CES 2017. However, it has been only recently that the idea has been evident with its new range of monitors being advertised. How does it differ from the original FreeSync technology? Before we can dwell upon the new range of FreeSync 2 monitors, let us understand what FreeSync 2 is all about. FreeSync essentially refers to the adaptive display technology. As things were standing until now, displays always have had a fixed refresh rate, while the content developed for them will not have a fixed refresh rate. If you have a game that has a refresh rate 54 Hz which occasionally jumps to 60 Hz, you will experience a stuttering and frame loss in an ordinary monitor. FreeSync helps your monitor to vary the refresh rate to match that of the content being displayed. FreeSync 2 takes it further ahead. 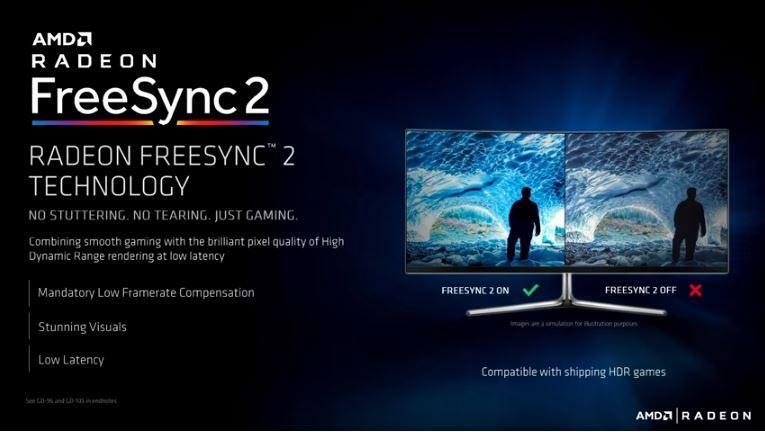 In fact, the name FreeSync 2 may give an impression that it is an upgrade to the original FreeSync technology. It isn’t. It adds functionality on the already existing FreeSync functionality. What are these additional features? Well, the premium features introduced by FreeSync 2 include high dynamic range, low framerate compensation, and low latency. We would guess going into the more in-depth details of what FreeSync 2 offers is beyond the concept of this post. We find it sufficient to know that FreeSync is all about variable refresh rate that offers a stutter-free functionality for your content. Moreover, in sharp contrast to the G-Sync from NVidia, it does not need any additional hardware for its functionality. The technology is taking shape only recently. We may not be able to find many options as of now, though we expect the number to explode going forward. Let us check out a few announcements made for the FreeSync 2 enabled monitors. BenQ recently announced its new range of monitors – the BenQ EX3203R FreeSync 2 Monitor. It is mostly a 32 inches FreeSync monitor with a curved screen and a refresh rate of 144 Hz. Enhanced HDR compatibility as part of FreeSync 2. AOC has been well known for introducing the new age monitors. 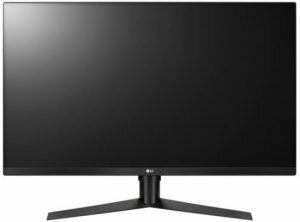 Now, with the emphasis on FreeSync 2 and variable refresh rate, it was expected for them to launch a monitor that is capable of doing that. 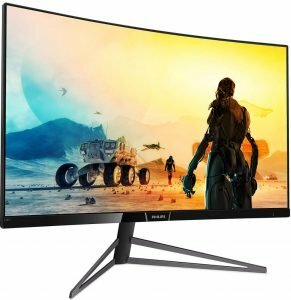 Support for FreeSync 2 including HDR and LFC. The curvature of 1800R that provides a great peripheral vision. Other features include high peak brightness, improved black levels, a higher color gamut, and more bit depth. Gamers will love the high dynamic range offered by the FreeSync 2 technology. 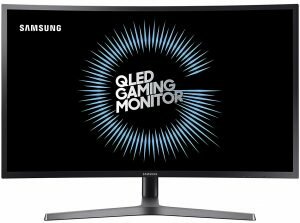 The Samsung CHG70 is ideally the best PC monitor you would ever find with the latest technology. The elegant colors are what would make it a gamers’ paradise. The 2560 x 1440p resolution that provides an accurate color performance. Optimized video performance while handling the HDR content. The 1800R curvature ensures the clear peripheral vision. 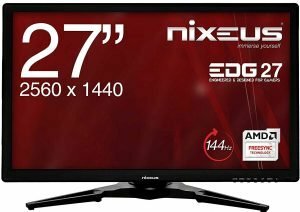 Well, Nixeus has been involved with AMD right from the initial days of FreeSync development. It was ideally the first manufacturers to provide the FreeSync functionality with its product line up. A refresh rate of 144 Hz and a response time of 4 ms. The product comes with a host of accessories including external power brick, basic lit pack, a 3.5mm stereo audio cable, and a short 5-foot DisplayPort cable. The best gaming experience at your fingertips – that is what Pixio New PX277 promises. You can be sure of accessing the tear-free gaming and excellent support for LFC through FreeSync 2. A contrast ratio of 1000:1 and a 6 ms response time. A wider viewing angle of 178 degrees. The sales package comes with the monitor, the stand, plus DisplayPort and power cables. So, you can set it up right away. 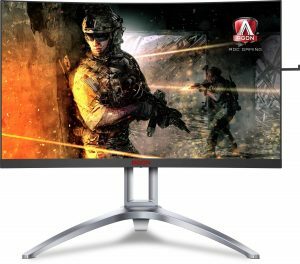 If you are looking for the monitors with a high refresh rate, the LG 32GK850F should be an exceptional choice by many standards. It offers you a stronger contrast and a decent color option. You also tend to get outstanding responsiveness. The high refresh rate will offer you an exceptional gaming experience. It should be one of the preferred choices for the multiple monitors. The 2560 x 1440 resolution, 144Hz refresh rate, and 5ms response time should make it an exceptional choice for your high-end gaming. You have access to a great panel and color uniformity. Marketed under the Philips Momentum range, the Philips 328M6FJRMB provides you with richer images with smoother experience. The model has several advanced features that include Quad HD resolution, Ultra Wide-Colour Technology, and Display-HDR 400 on a 32″ curved screen. 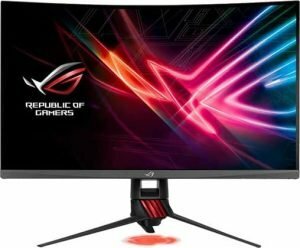 FreeSync 2 compatibility and a 144Hz refresh rate. Enjoy hours of trouble free gaming that is devoid of eye strain, fatigue or retinal harm of any nature. An improved model for the already available Asus XG32VQ, the ASUS XG32VQR comes with an added support for FreeSync 2 and HDR. Developed on the Samsung VA panel, the monitor presents a vibrant and vivid experience for the best performance. The curved screen should give you the best experience in a curved monitor. The compatibility with FreeSync 2 should provide you access to adaptive sync’s benefits with refresh rate range up to 48 to 144 Hz. It offers you a 3000:1 contrast ratio that enhances the best in class images. The matte-coated screen and curvature should provide you access to improved visual comfort. 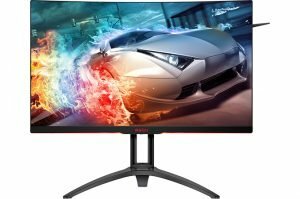 Another offering from Agon, this is an excellent monitor option you can go with if you are a gamer. High-end responsiveness and high-end image qualities that should make it a great choice. Featuring a bezel-free design, the Asus AG273QCX has several features that make it aesthetic and a performer at the same time. The screen now comes with the matte design instead of the glossy plastic. The monitor is HDR10 compatible and offers you a more magnificent performer. You also have access to proprietary gaming features from AOC that include Dial Point crosshair, an FPS counter, and the Game Color digital saturation control. 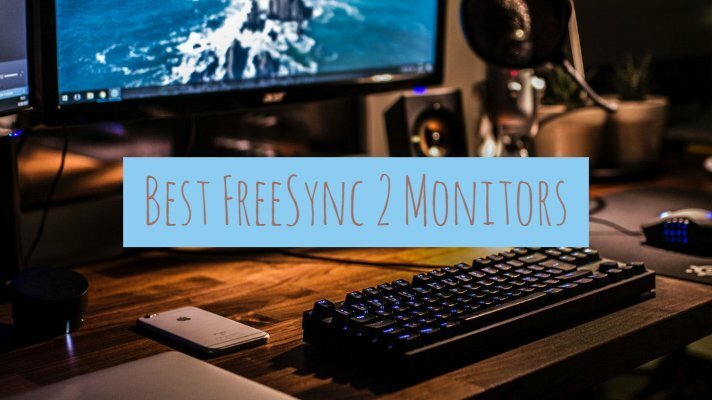 Well, those are a few excellent alternatives you can check out if you are looking to FreeSync 2 enabled monitors for your gaming experience. The FreeSync 2 coupled with the original FreeSync functionalities works effectively in improving your distortion-free display experience. Of course, it is too early as we are finding the FreeSync 2 technology is taking shape and possibly in a nascent stage of development. 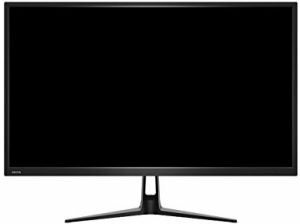 However, in the technology world where a couple of months makes a huge difference, we expect more monitors with the FreeSync 2 functionality quite soon.